On August 29th 2014, HEART was invited to participate in the graduation ceremony of 119 girls aged between 9-14 years old at Oldonyonyokie primary school. These girls were at risk of female genital cut (FGC) as it is the custom in the Maasai culture. They graduated from a three day Alternative Rite of Passage (ARP) training that is geared to renounce this custom. In the Maasai community, a girl who is not “cut” is unable to take up her traditional role as a mother and wife. In the Maasai community, a girl who is not “cut” is unable to take up her traditional role as a mother and wife. 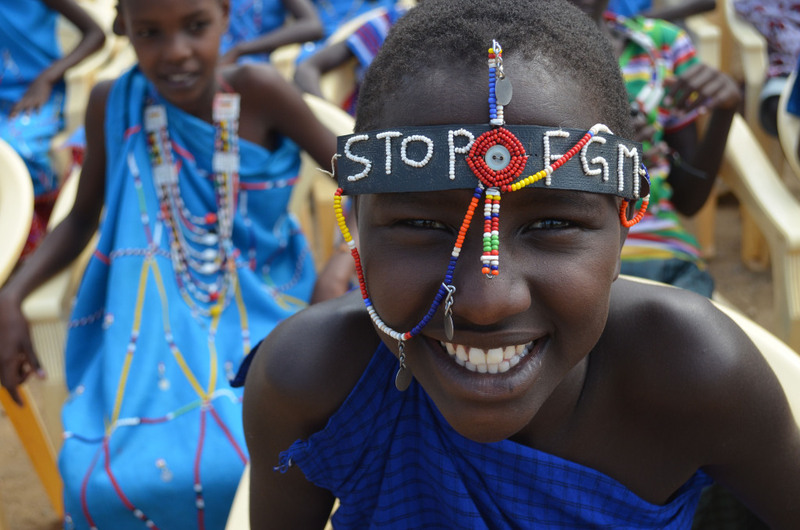 The cultural roots of female genital cutting are so embedded in the Maasai community that parents believe it is the best thing for their girls. This auspicious event was organized by the Oldonyonyokie local leaders in collaboration with African Medical and Research Foundation (AMREF Kenya). The organizers chose Oldonyonyokie primary school as the suitable venue because of the dormitory that was built by county council of Ol Kejuado and was fully furnished by Women Leaders in Action (WLA) through Rotarians for Fighting Aids (RFFA) and HEART. Circumcision in Maasai culture marks the transition from girlhood to womanhood. In this regard girls are often obligated to be circumcised so that they will be fully accepted in their culture. 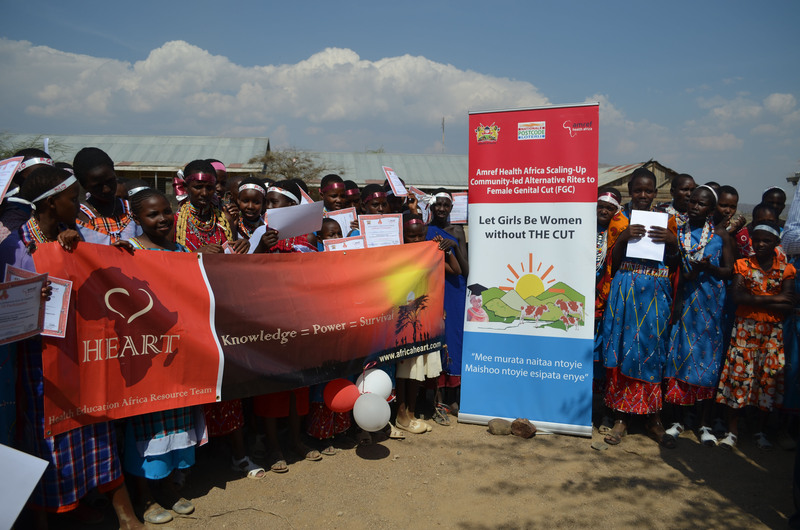 However, in this event the community elders and the parents of the young girls came together to renounce this tradition in order to encourage people to move away from female genital cutting. HEART was represented by Rtn. Vickie Winkler – the Executive Director and Founder, Colleen Fischer- assistant professor university Minnesota and Ms. Lydiah Njoroge FFG Field Officer. 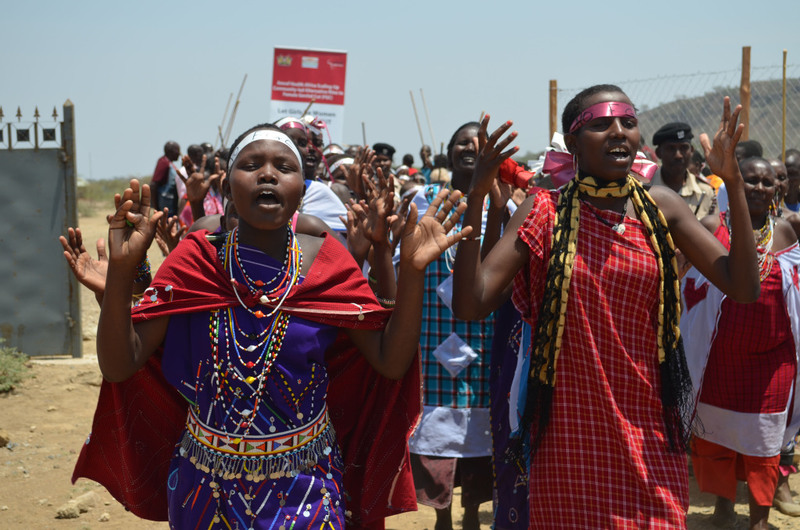 The event started with the girls singing and dancing to songs declaring that they have renounced the female genital cutting in their community. 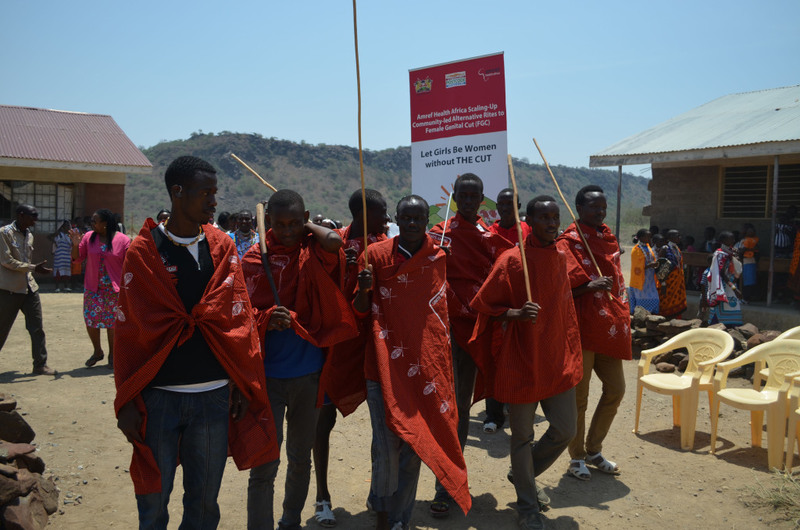 During the event the Moran’s (young men in the Maasai community) made a declaration that they will not marry girls who are circumcised but they will only marry girls who are smart and have gone to school. The girls assured their parents that they would work hard and bring joy to their families. The guest of honour was Chief Mary Kashinka from Namelok, Loitoktok location (the first woman chief) urged parents to educate the girls and highlighted that the constitution prohibits such practices and if anyone is caught in act of circumcising the girls, the law will deal with them.